Great moments from classic Disney movies. The great talents of Mickey, Goofy, Donald, and Minnie. Today, I’m not going to talk about the show itself that much. After all, I’ve written about it before and you can read about it here, here, here, and even here. I’m only going to talk about the show to make reference to my favorite #DisneyMemory from this incredible attraction. The year was 2008, and the day was June 18th. The day before Sophie turned 7 years old. We were at the Magic Kingdom that day, and we experienced Mickey’s PhilharMagic, as I know you are aware. The show was incredible, the music was great, the scenes were great, and Donald Duck was in trouble! If you’ve seen the show, then you know at the end Donald is shot out of the tuba after Mickey arrives to attempt to put everything back the way it was supposed to be. You also know that in true Disney style, Donald shoots out of the movie screen and barrels through a wall at the back of the theater. My favorite #DisneyMemory from this attraction happens after that moment. As everyone in the theater turned to see Donald sticking out of the wall, trying to free himself, my daughter Sophie yells out loud enough for the entire theater to hear her “Donald, are you all right?” At that moment, Donald fell, and we all laughed a bit because we could tell he was all right. I explained to Sophie that Donald was okay, that he trained for these events so that he wouldn’t get hurt, and everything was good. A child’s imagination is a powerful thing, and on that day in 2008, Sophie showed us her child’s heart, and her empathy towards others. That is just one of hundreds of examples of her empathy towards others that we have been witness to in her life, and it is the one thing that I treasure her for more than anything. So now it’s your turn! 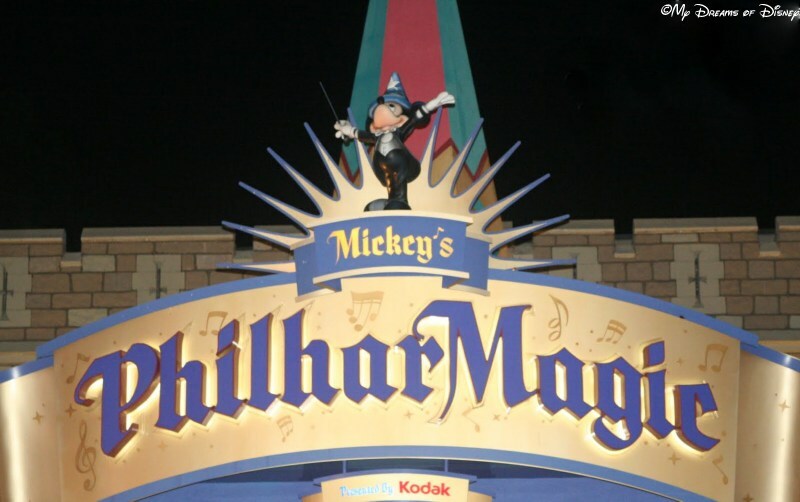 What is your favorite #DisneyMemory from Mickey’s PhilharMagic? Please tell us in the comments below, and thank you for stopping by today! Go out and make it a great Disney Day! Hello, and welcome today’s #DisneyMemory segment! The focus today is on a special fireworks show that many people know and love — Wishes! Like roller coasters, when I was a kid, I was terrified of fireworks. For me mostly, it was a sensory issue involving the loud noises and the way I would tense up in anticipation of those booms. So for many years, I would not watch fireworks, either at Walt Disney World or anywhere. Then one year, my wife suggested that my daughter and I get ear plugs, and that was the start of a love affair of Wishes. I don’t know why I didn’t think of getting them sooner — I guess I just figured I would never bother with seeing fireworks — but I’m glad that my wife had the great idea to do that. I’ve since found out that you can also get ear plugs at Guest Services for free, so that’s a great thing also. Now, fireworks don’t seem so bad anymore, and I enjoy them a great deal. My favorite #DisneyMemory from Wishes is from our trip in 2012. In that trip, Cindy, Sophie and myself invited our friends Kerry & Neal and their kids and our friend Monica and her daughter to join us, and one of the reservations we had for that trip was at Cinderella’s Royal Table. The problem was that the earliest time we could get for our party size was 8:30 PM, which I was inclined to skip on, but the others really wanted to eat there, so we decided to stick with it. Well, what turned into an absolutely terrible dining time (especially with a 4 and 2 1/2 year old in our party) turned into one of the greatest moments of Disney Magic we ever experienced. Since we were there late, and since we had a party of 9, dinner took longer, to the tune of us being inside the Castle when Wishes was beginning. We were able to experience the fireworks through the windows, and listen to the show audio in the restaurant. Obviously, while we didn’t see as much in the way of the actual fireworks as we would have had we been outside, it was still an incredible memory, and that is my favorite #DisneyMemory of Wishes. 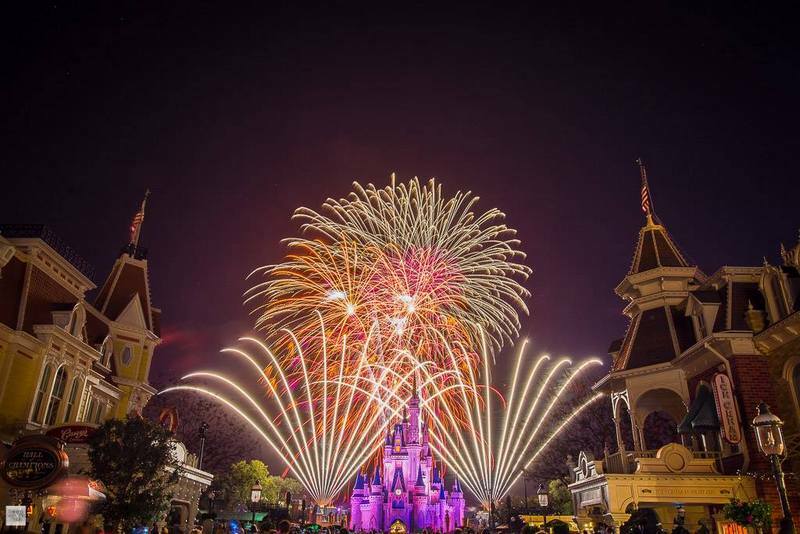 So please tell me, what is your favorite #DisneyMemory of Wishes? Please let us know in the comments below, and thanks for stopping by to join us today! I grew up not liking Space Mountain, so it’s quite a turnaround that I have a great #DisneyMemory for this ride! When I was a kid, roller coasters were not my friend. I didn’t like the speed, I didn’t like the turns, and at the top of my list of ones I didn’t like was Space Mountain. However, as I got older, I tried other roller coasters, and learned that they are a lot of fun, and have been a fan of roller coasters for years now. The first time I road Space Mountain was in 2000 with my soon to be wife Cindy, and since it was in the dark, I kept trying to anticipate the turns, and ended up with a splitting headache for my troubles. So, that first time, definitely not my favorite #DisneyMemory! However, I gave it another shot in a different visit, and over time, I grew to like Space Mountain a great deal. My favorite #DisneyMemory from this great attraction comes on June 11, 2012 — which just happens to be the day that Shane proposed to Stephanie — and the day that Stephanie, Shane, Cindy, Kyle, Kerry, and myself rode Space Mountain together. I’ll never forget because Kerry was very nervous — to this day she still doesn’t like Space Mountain — but she tried it out, and gave it her best effort. She was actually doing okay — until, that is, Kyle let out a blood curdling scream — and from that moment on, it was chaos! Such a fun ride, that was, and at 1:30 AM or something like that, it felt like the ride was ramped up to an insane speed, despite the ride being the slowest roller coaster at Disney. I don’t know what it was, perhaps all of those factors working together, but that day, that visit, that ride, was my favorite #DisneyMemory for Space Mountain. 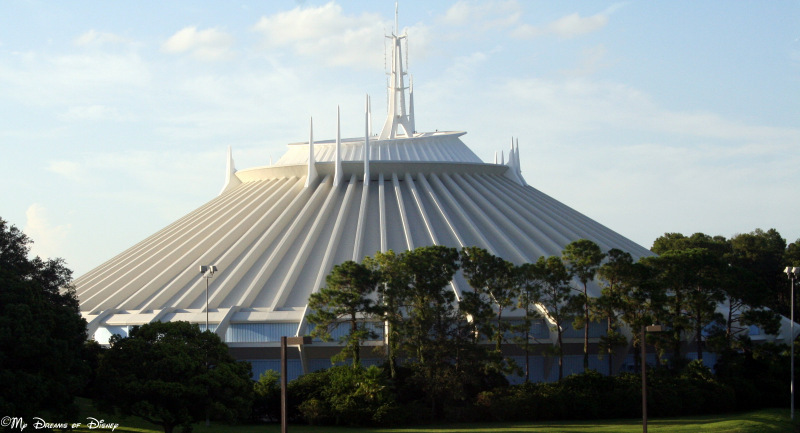 What is your favorite #DisneyMemory from Space Mountain? Please let us know in the comments, and thanks for stopping by! 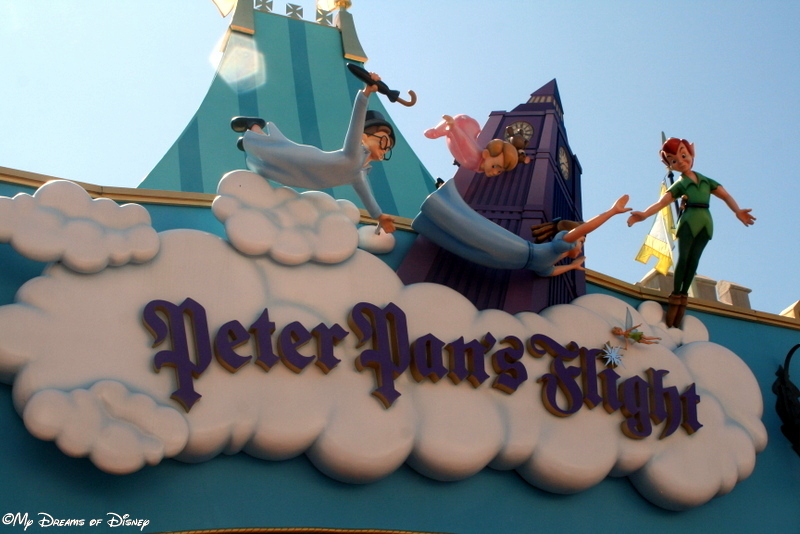 What is your favorite #DisneyMemory of Peter Pan’s Flight? When asked, I imagine that most people would say that the main reason for going to Walt Disney World or Disneyland is to generate and remember some incredible memories. For many of us, going to Disney invokes some great memories from when we were kids, and it also helps us to create new memories of our family, maybe our child and wife and things like that. So today we are looking for your favorite #DisneyMemory from one of the most popular attractions at Disney: Peter Pan’s Flight. For me, my favorite #DisneyMemory from this ride revolves around my wife and I. As our daughter Sophie has gotten older, she has been able to experience parts of Disney with friends. In 2014, Sophie went to one of the water parks with some friends of ours while Cindy and I enjoyed the Magic Kingdom on our own. We had a great time, we rode Seven Dwarfs Mine Train for the first time, we explored, we ate incredible cinnamon rolls from Gaston’s Tavern, and we rode Peter Pan’s Flight, just the two of us. Of course it was a lot of fun. What I like most about the attraction is the feeling like you really are leaving London behind as you fly off to Neverland. I also like that you are actually hanging from the track, and that you get to explore so much of the island and see so many of the scenes from the movie. That was a lot of fun, and I’m glad that Cindy and I are able to enjoy some of those things together as our daughter starts to get more independent and is able to do things on her own. So tell me, what is your favorite #DisneyMemory from Peter Pan’s Flight? Please let us know in the comments, and thanks for stopping by today! Go out, and have a great Disney Day!